Social media has had a profound effect on news gathering and reporting that goes far beyond what many people have talked about. As an example, the problem for governments is, when they make an announcement, social media turns it into a big debate. Think about it. A generation ago, the government would make an announcement, the media would report it and other than some debate on radio talk shows and the odd Letter to the Editor in a newspaper, that was about it for debate. Now as soon as many announcements are made, social media creates a controversy. The message gets lost when controversy and inaccuracy take over. It's making it harder than ever for governments and the private sector to rely on the media to get their messages out. On top of that, the number of reporters across Canada has been slashed, leaving many wondering how their stories will get told. There are two ways to interpret what he’s saying. One is that he’s not happy with the way the media is telling the City’s side of the story on the housing issue, perhaps not being as unfiltered and supportive as Council would like it to be. Keep in mind however, the media doesn’t exist to tell anyone’s story the way they want it to be told. As somebody once said to me when I was in the media, “If they want their story told exactly the way they want it, then maybe they should buy advertising.” So true. I don’t think Iveson is saying that. What he is saying is that times have changed and there have been so many cutbacks in the media, news about the City’s initiatives is getting harder and harder to get through to taxpayers. Maybe he would be happier if the media would extoll all the great things about putting social housing in upscale communities, but let’s face it, the media wouldn’t have done that 25 years ago, so why would it do it now? As I mentioned off the top, social media turns every announcement into a debate. I believe the problem, as Iveson sees it, also gets down to numbers. I covered the City Hall beat for CHQT radio so long ago that I had an office in the old City Hall, which was demolished in the 1980’s. I think the sign on the outside door read “Media Centre”, which amounted to several of the smallest offices that ever existed. My office was little more than a desk with four walls around it and a door. It was about seven feet long and four feet wide. I used it to write and file stories from City Hall back to the radio station. The Media Centre was a bustling place in those days. CHQT was one of about five AM radio stations that had a reporter there almost every day of the week. Both daily newspapers were there and as a matter of fact, the Edmonton Journal had not one, but two full-time City Hall reporters. All TV stations provided coverage on a regular basis too. There was news to cover and the local media did it well. When the current City Hall was built, much nicer media offices were built, but today many sit vacant much of the time. There’s still news to cover, but not as many reporters and media outlets to do it thanks to cutbacks, media mergers and changes in programming. Edmonton is far from alone. The same thing has happened in city halls and provincial legislatures across the country. Let’s get back to that term “earned media” that Mayor Iveson used. It basically means getting coverage of your story from various media outlets. 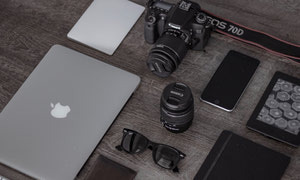 You do something to earn it, such as holding a news conference or media availability, preparing a news release and providing other information for reporters who need it. It’s been around for decades, but there have been hundreds of reporters being laid off, as media outlets have merged and others have closed. Getting earned media is becoming harder and harder, no matter what you do to earn it. What the Edmonton Mayor lamented is what many PR and communications professionals have agonized over for several years. Doing a lot of work to conduct a news conference only to see one or two reporters show up is like a kick in the stomach. Smart communications professionals have found other ways to get coverage. Earned media can play a role, but they’re no longer putting all their eggs in one basket. 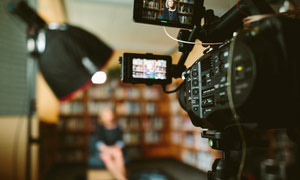 More and more they’re turning to video, social media and other ways to get their story told. It’s not surprising that Iveson is looking for other ways to get the job done too. Here’s where it gets dicey though. Should any government be spending taxpayer’s money to create a product that pushes a partisan agenda? 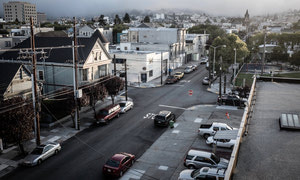 There’s a really fine line between what’s good general information for the public, such as where to go to get a building permit and something partisan such as why it’s a good thing to have more social housing in different parts of the city. It’s a slippery slope as many government departments have found over the years. Just last week in Ontario, a government ministry was using social media to point to the results of a survey that fit in nicely with an opinion of the government about an issue. Where’s the line between information and spin? It’s never been the job of the news media to tell a story the way any government wants it told, but for many years that’s basically what has happened at thousands of news conferences, media availabilities and photo opportunities. Those days are over and I don’t blame anyone for trying something new. The problem they face today is the time and cost to create information that catches the attention of the public. In the old days a couple of dozen donuts and a pot of coffee did the trick for the media. I know, I was there. I'm well into taking bookings for the fall. Let me know if I can help you and your organization. 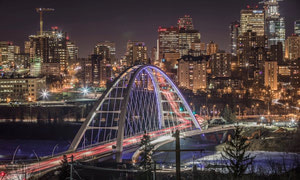 The Walterdale Bridge in Edmonton opened to traffic close to a year ago, but thanks to politically sensitive politicians, there's still been no official opening. 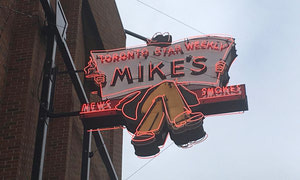 Mike's News was an Edmonton landmark for years and I may be the only person alive who was a customer, a supplier who worked there and a witness at City Council the day it was forced to move.